Ferdinand Frampton: Certainly a GREAT Dominican! Ferdinand Patrick George Frampton, or Ferdie, was born on October 4, 1949, and attended the Pichelin Government School and the Dominica Grammar School. Ferdi's life was so rich and eclectic that it is over-ambitious to concisely eulogize his achievements; however, any summary of his life invariably leads to multiple pathways in the areas of media, education, politics, administration, and community service. Most obviously, a history of broadcasting in Dominica is incomplete without reference to Ferdinand Frampton. He was not only one of the pioneers of broadcasting on the island, but was one of its most influential and keenest shapers, having trained and mentored dozens of the best and most popular. There's hardly a role in radio broadcasting never filled by Ferdie: sports reporter, news editor, show host, programme director, sales manager, assistant manager, manager, he did it all and left a trail of professionalism that transcends mortality. Coaching and tutoring aspiring media practitioners seem to come naturally to him, but few made the connection between his effectiveness as a mentor and his competence as an educator. Before exploding on the media scene, he taught at a number of schools on the island, including Bellevue, Pichelin, Cochrane, Mahaut, St. Joseph, and the Goodwill Junior High School. Ferdie's unquenchable commitment to community development and grassroots representation drove him to lead, organize, and manage a wide range of projects and initiatives, often at considerable personal loss and pain, but always with a cheerful heart. He chaired the Pointe Michel village council for three terms, served on the Corporate Societies League, the La Salette Corporative Credit Union Credit Committee, the Dominica Transport Board, and the Dominica Taxi Association. His role was not always administration; it was at times advisory, especially as a Justice of the Peace and councilor. Other times it was creative, as reflected in his artistic management of the Pointe Michel Cultural Group for 23 years and a songwriter of several classics. When the field of sports cried out for competent administrative and leadership skills, Ferdie was ready to take up the mantle. His tenures, from the lowest to the loftiest of levels, remain notably impressive. He provided exemplary service to the Granite Cricket Club, the Pointe Michel Football Committee, Strike Force Sports Club, the Southern Cricket Club, and the Dominica Cricket Association. He was the Vice President and PRO of the Dominica Football Association (Vice President/PRO), manager of the National Football Team, and a member of the contingent negotiating Dominica's FIFA membership. Against such an extensive and effective backdrop of national service, many Dominicans called on him to explore opportunities for higher office, and he acquiesced. 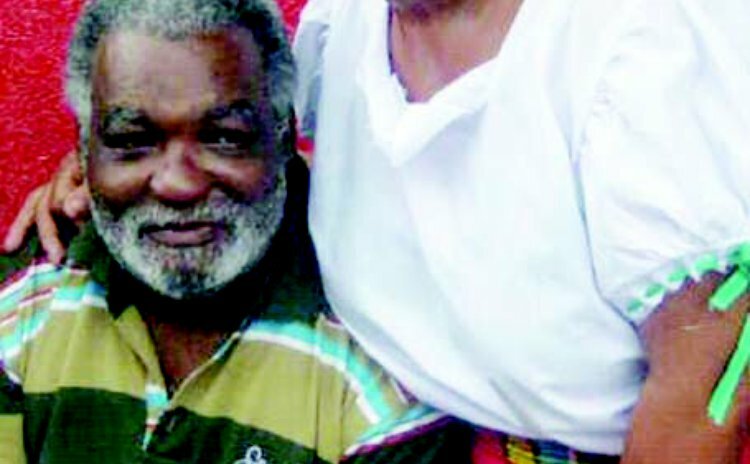 As both a candidate for the Dominica Labour Party and the United Workers Party, Ferdi's political legacy belied partisan fanaticism and remains a model of national consciousness and patriotism. Whether or not you agreed with the details or trajectories of his politics, even now, as he prepares to greet the angels, it is unconscionable to deny that he consistently and selflessly placed the improvement of Dominicans at the forefront of his ideologies and pursuits and bore no ill will to others. Whether he touched your life as an advocate, councilor, leader, mentor, coach, friend, or entertainer, the impact of Ferdi's life will whistle in the Dominican breeze long, long after the dust settles on his grave. Finally, to the thousands who join our family to grieve his parting take comfort knowing that of the lives lived in the history of Dominica that epitomized and effused the highest markings of good citizenship his is unquestionably amongst the brightest. Ferdinand Patrick George Frampton – 1949 to 2013 – certainly a GREAT Dominican!